Your first step is to identify the system model name. On a test workstation, open system information. Note down the System Model name as highlighted. 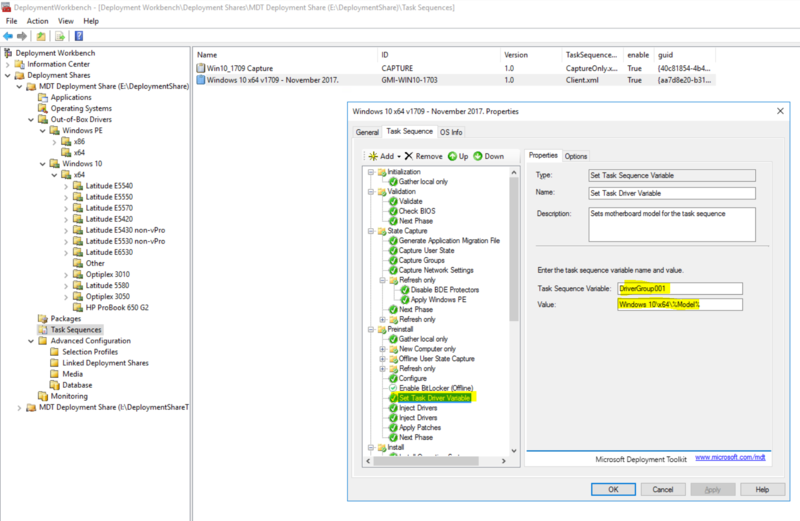 Open MDT on your deployment server. You will want to create two top level folders (as a minimum). 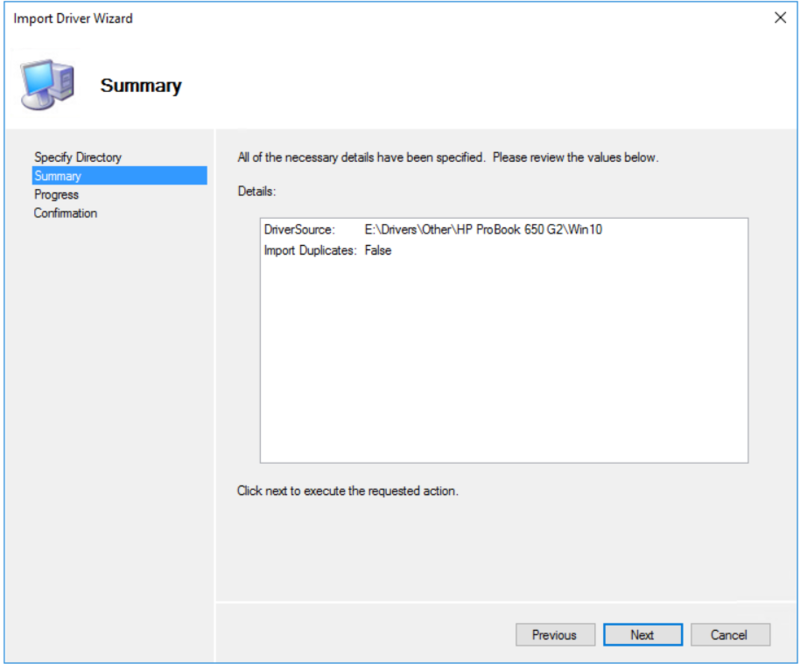 Create a folder called WinPE – this is where all WinPE drivers will be stored. I have also created sub-folders, one of x86 (32bit) and one for x64 (64bit) operating systems. 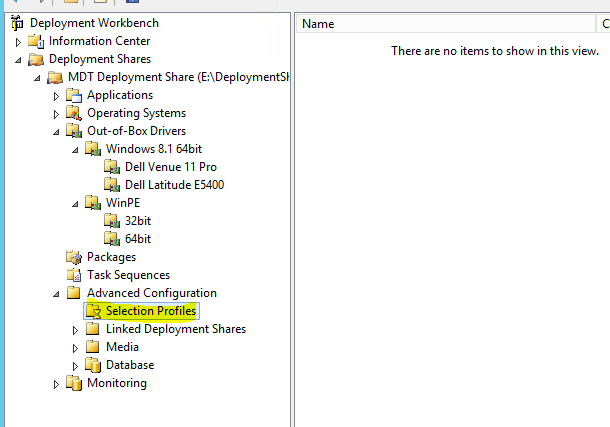 Under the Windows 10 \ x64 folder, you must now create a folder for the workstation model you have. Using the System Model name; create a folder that exactly matches this. Navigate to your driver location. Review & confirm – the import process may take some time. 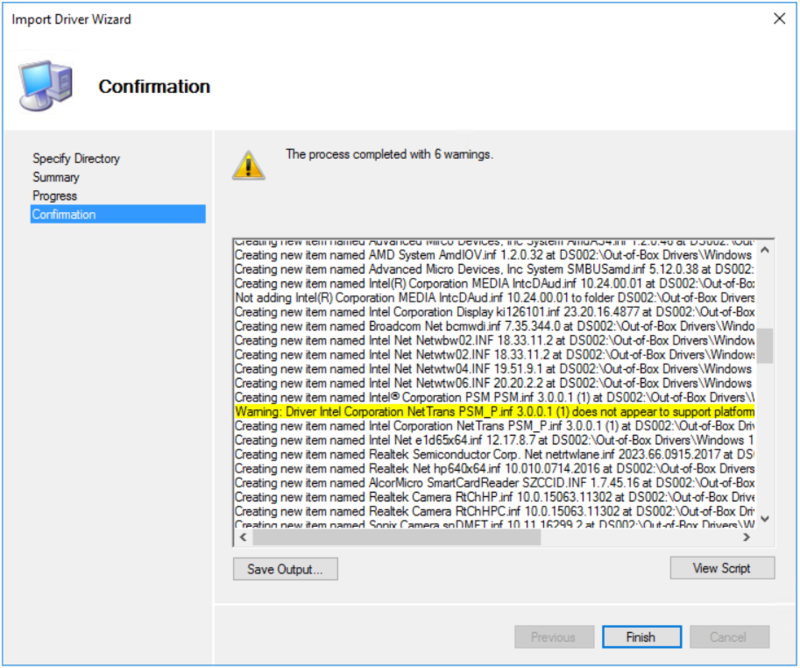 Review the job completion log for errors (in this example, the Intel NetTrans PSM driver does not support the x86 platform) and click Finish. Once complete, you’ll end up with a list of drivers for that model of computer. 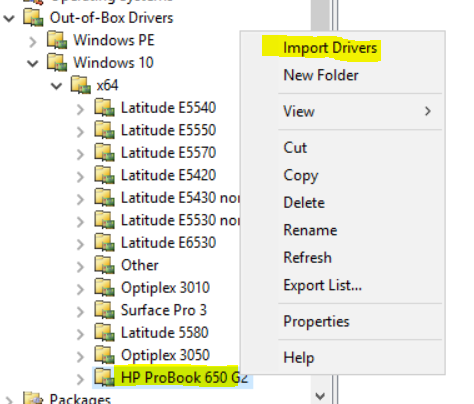 Repeat the same for the WinPE drivers if available – right click on the relevant platform (x86 / x64), right click and import drivers. 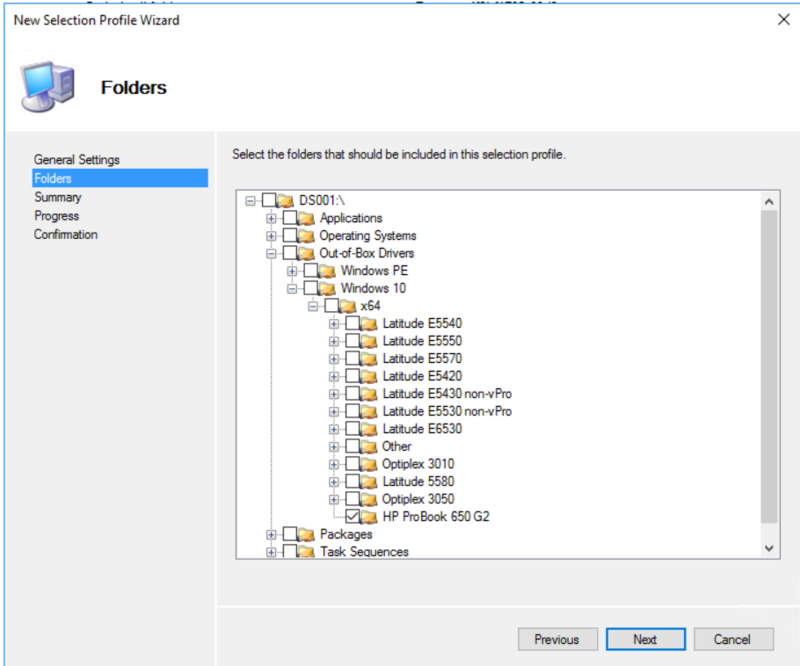 Next, select Advanced Configuration, then Selection Profiles. 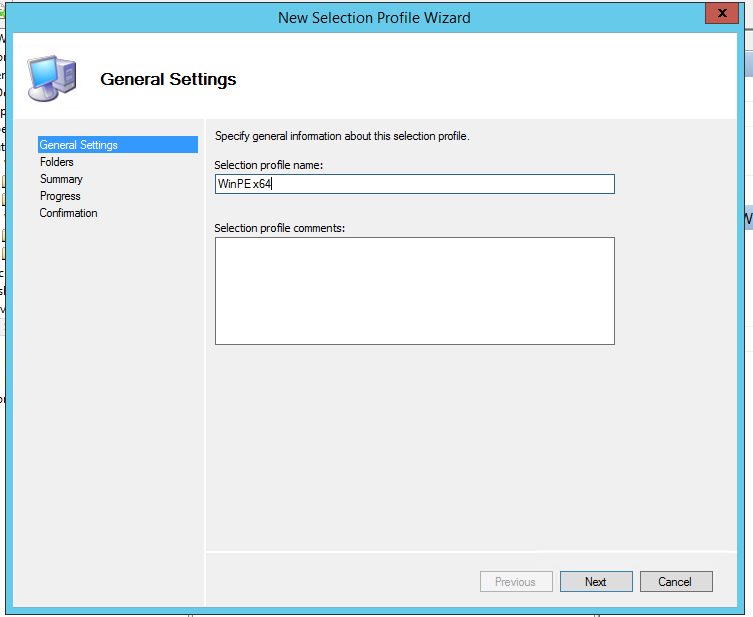 Create a new selection profile – right click on Selection Profiles, select New Selection Profile. 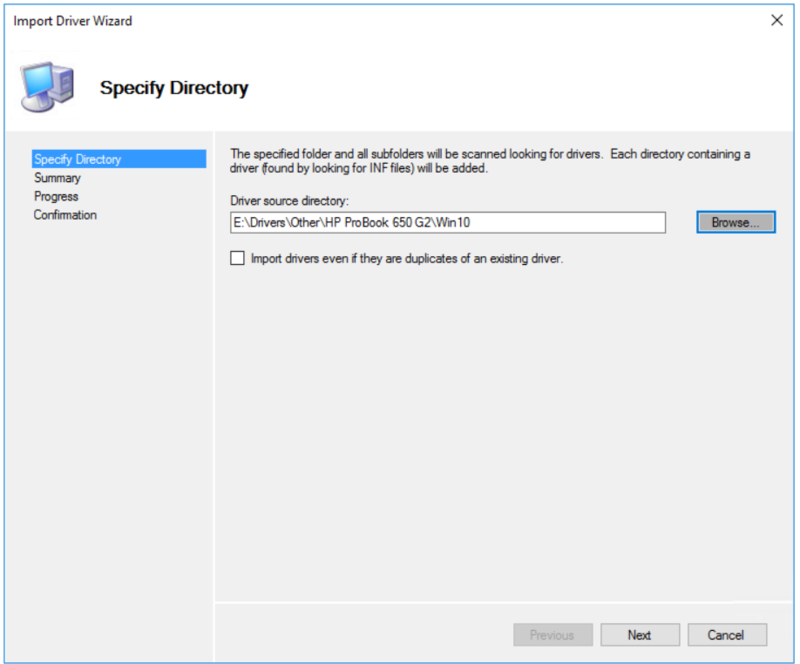 Select the relevant driver folder from the list. 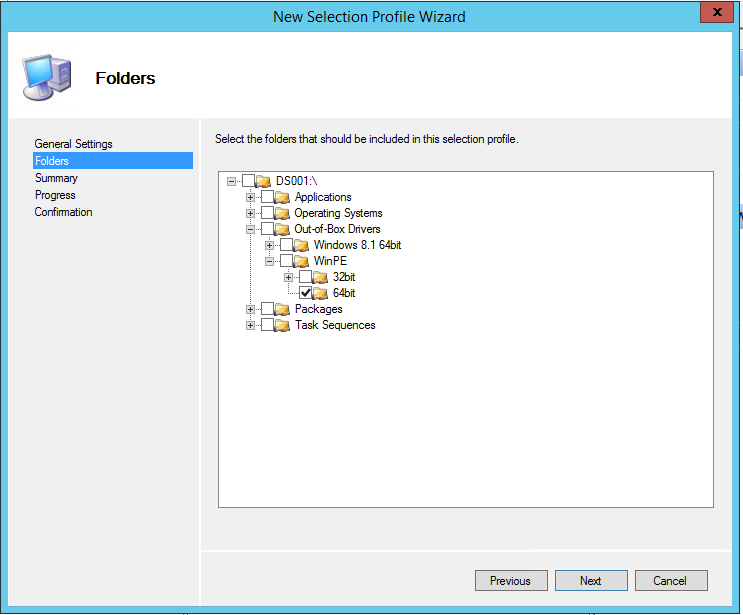 Your new selection profile will appear in the middle pane. 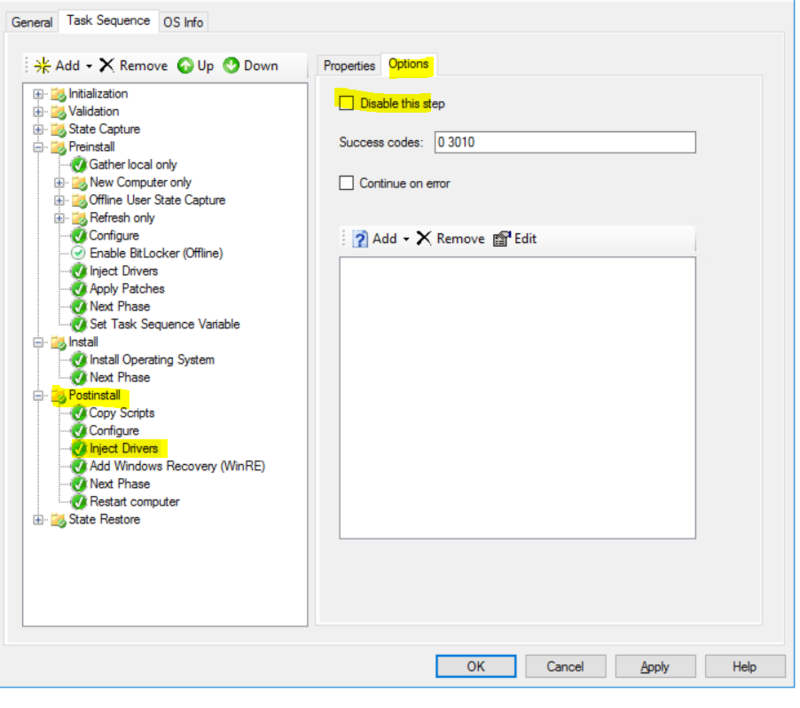 Repeat the above steps for the WinPE drivers (If you have already completed this step previously, you do not need to recreate it). Once you’ve done that, head over to Task Sequences (Again, if you have already . 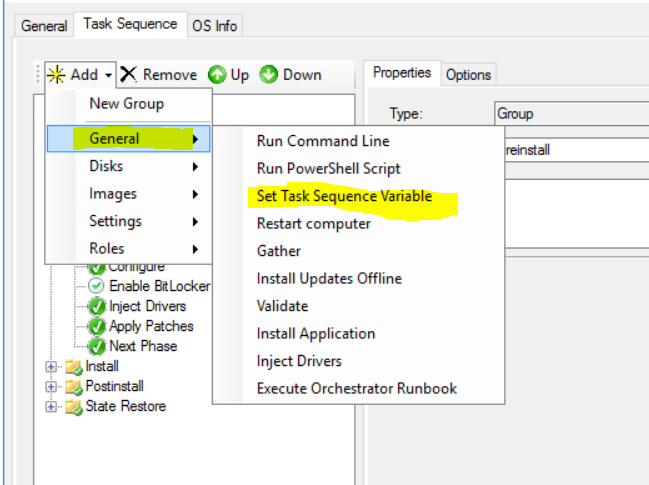 Select the Task Sequence Tab. Head to the Preinstall section. Click Add, General, Set Task Sequence Variable. 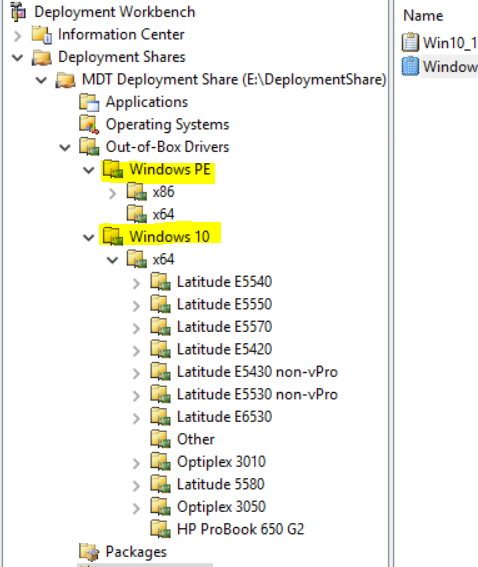 In this example, my value is set to: Windows 10\x64\%Model% This represents the folder structure under Out-of-Box Drivers. The %Model% refers to the system model name – as seen in System Information (step 1). Use the Up arrow to make sure this step is immediately above the Inject Drivers step. 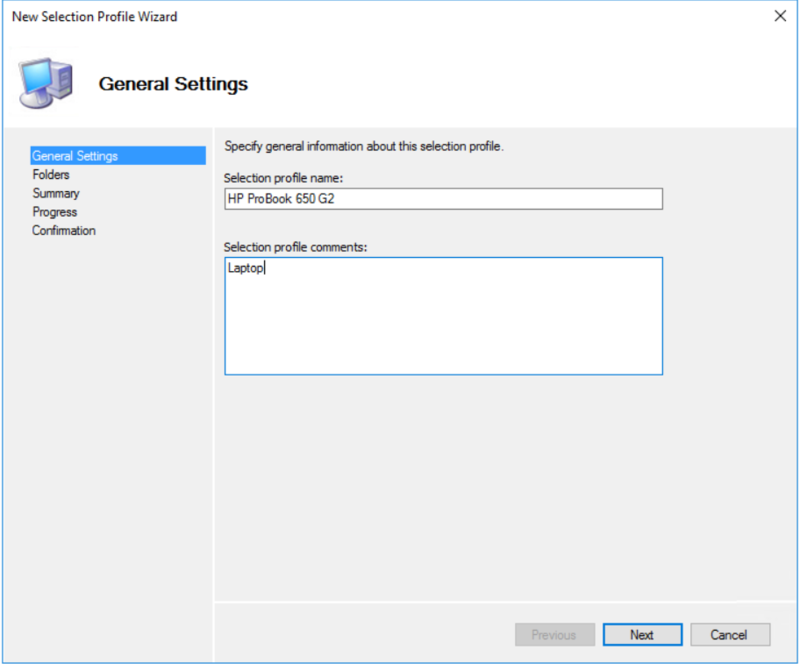 Make sure Install only matching drivers from the selection profile is selected. This makes sure only drivers from the previous step are installed. 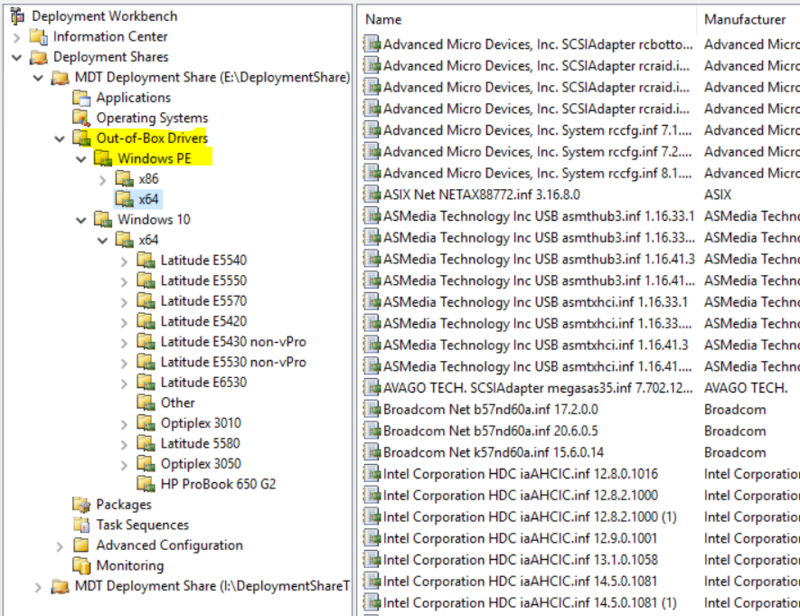 Select Inject Drivers, options tab, check disable this step. 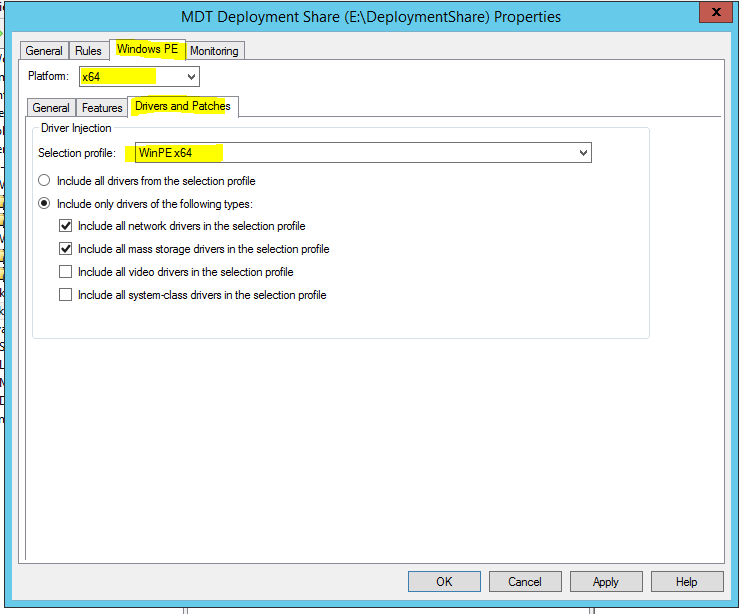 Right click on your deployment share and select Properties. 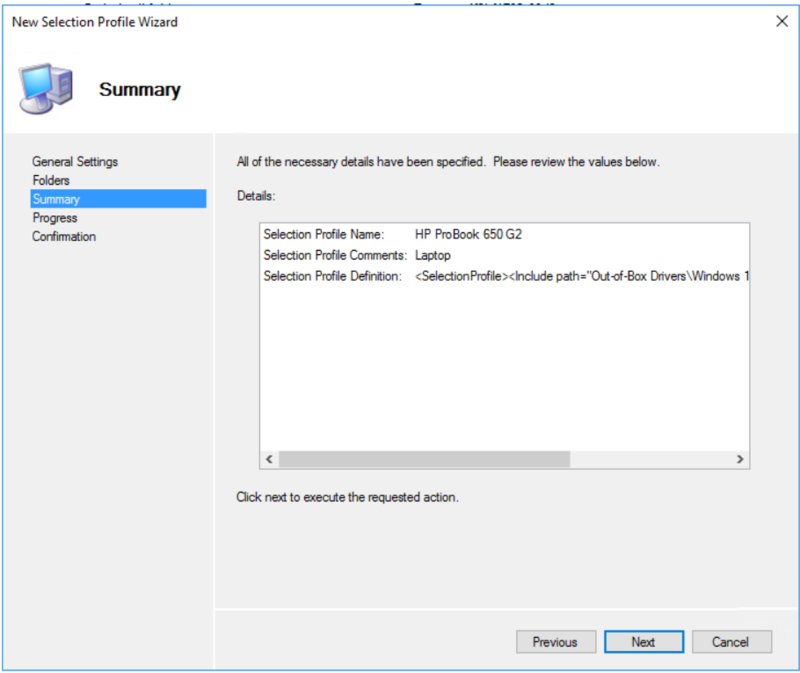 Select the Windows PE tab, choose x64, then the Windows PE x64 selection profile (repeat for x86 if used). 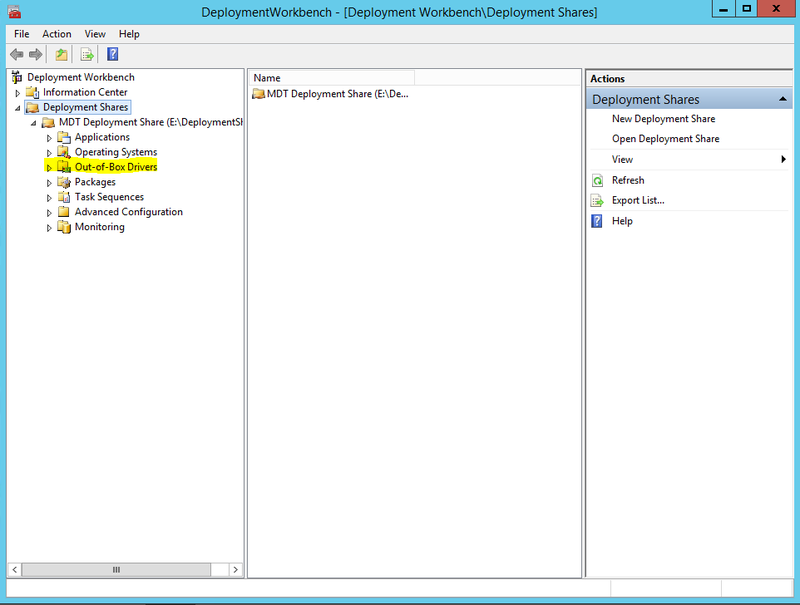 Right click on your deployment share and select Update Deployment Share. 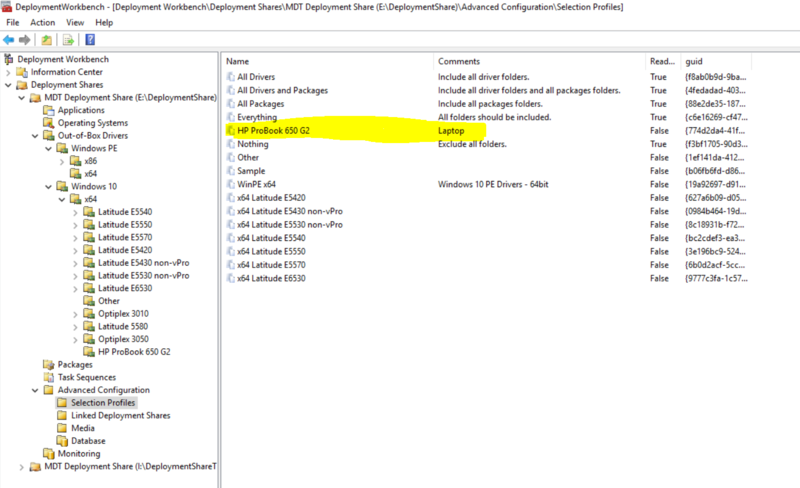 Now, attach the new LitetouchPE_x64.iso to Windows Deployment Services. 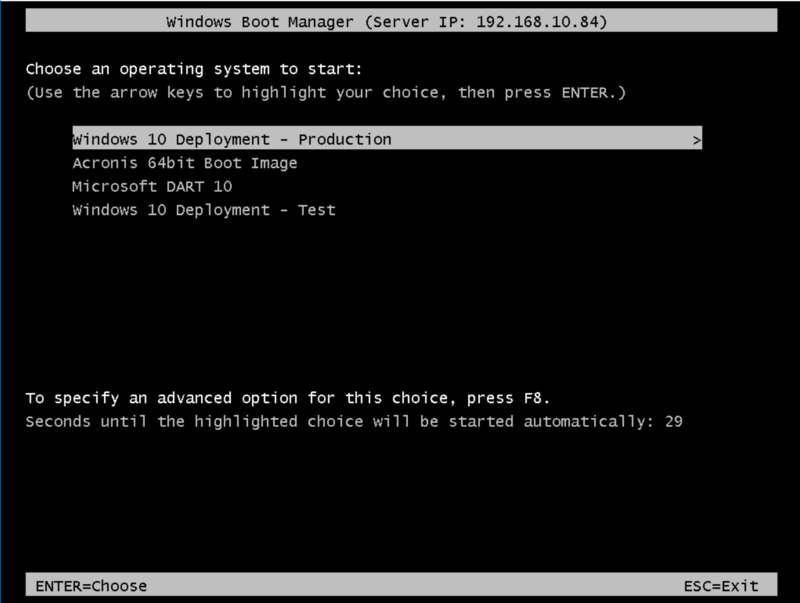 Open WDS, Select Boot Images. If you have an existing image, select it, RMB and select Replace Image (Browse to your .iso – default path is \DeploymentShare\Boot). 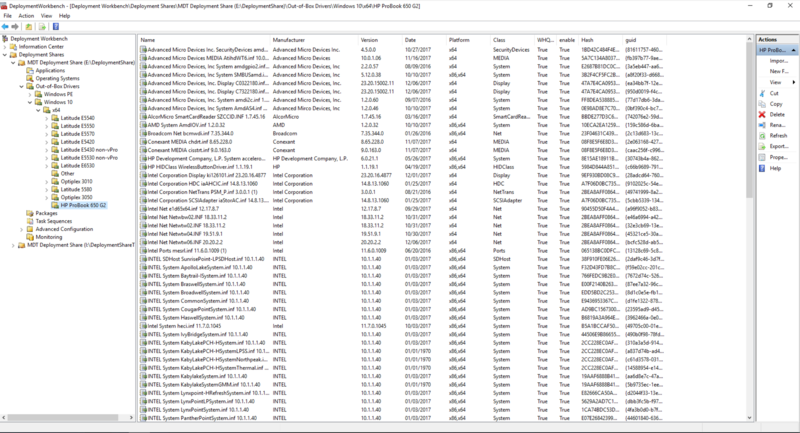 Finally, test the deployment, inc. your drivers. 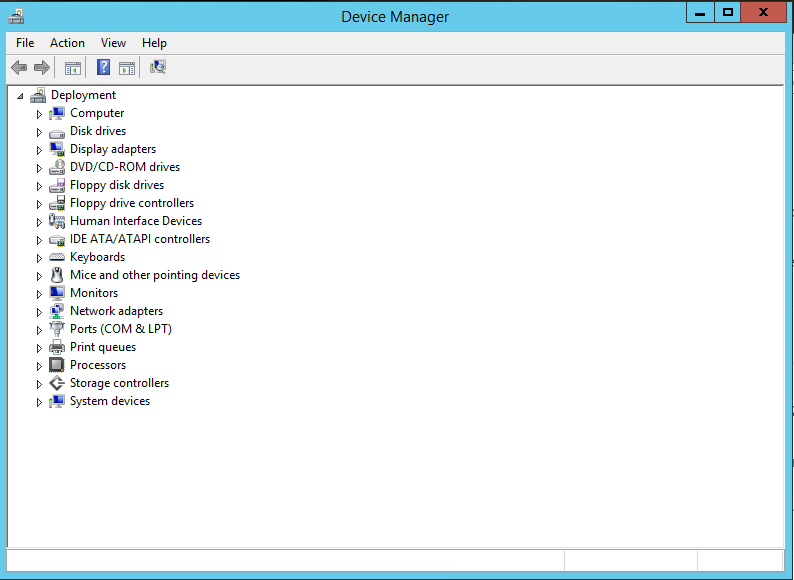 Once the image has installed, head to device manager. 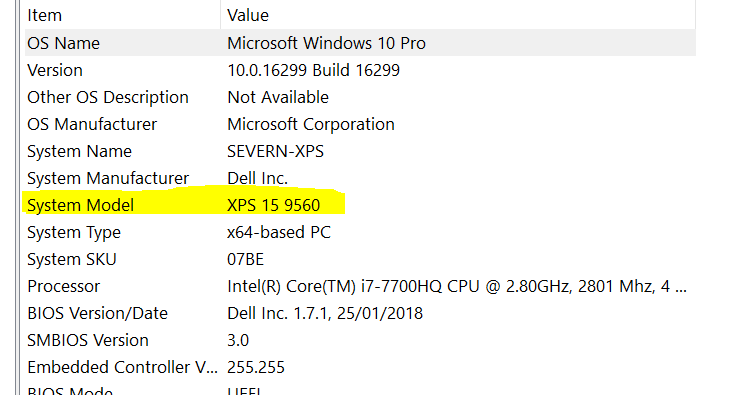 All of the drivers should be installed without issue (if not, make sure you’ve downloaded all of the available drivers – again someone like Dell will provide complete driver cab files for their business models). 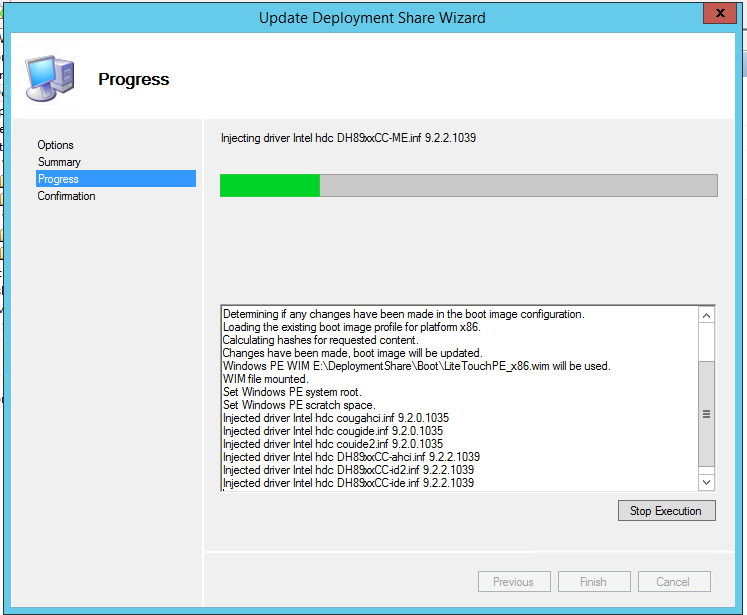 If your not able to update your deployment share, try disabling secure boot. This is an issue with ADK v1703.